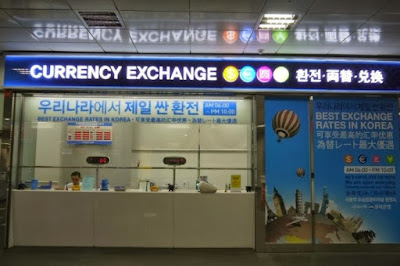 There are many places to get your money exchanged for Korean won. But where can you get the BEST value for your money? KRW stands for Korean won, Korea's money currency. This is what you'll be spending in Korea. Most travelers recommend that to get the best rates, you must exchange your money within Korea. 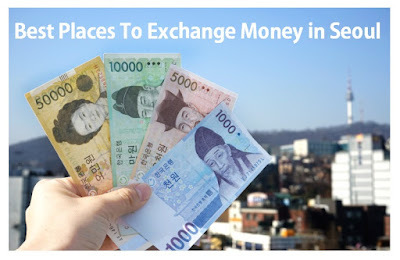 Here are the best and safest places to have your money exchanged into Korean won. Although the rate will be low, it is best to exchange your money here as they operate 24 hours a day, seven times a week. As soon as you arrive at the airport, especially if you're arriving on a weekend, make sure you exchange enough to cover at least the first two days of your travel. 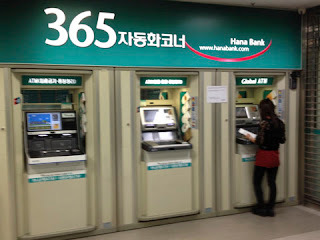 Probably the safest place to change your money to KRW. They will give buy your money for the exact exchange rate. Best of all, you won't be troubled if your money is legit one or a fake. Downside of exchanging money in a bank is that they have operating hours. They are open Mondays to Fridays, from 9am - 4pm, 4:30pm being the latest. Also, they might require you to present some identification documents like your passport or Alien Registration Card (for short-term residents). 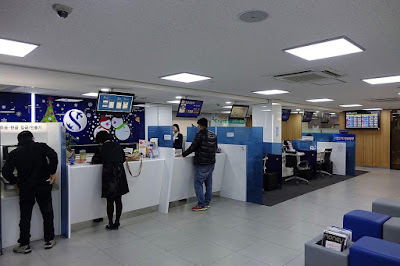 Pro-Tip: Woori Bank inside the KTX Seoul Station offers a higher rate than most banks. The easiest way to sell your money for Korean won as they won't require you to present any document for any transaction. In most parts of Korea, there are independent money changers that can buy your money at a higher rate, but you can't be so sure about the authenticity of the money you are getting. Just remember, if the place looks sketchy, go somewhere else. 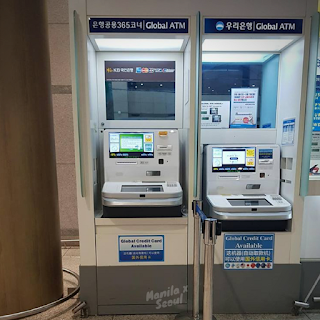 If you're running out of options, you can always go to a Global ATM designated in big cities of Korea. 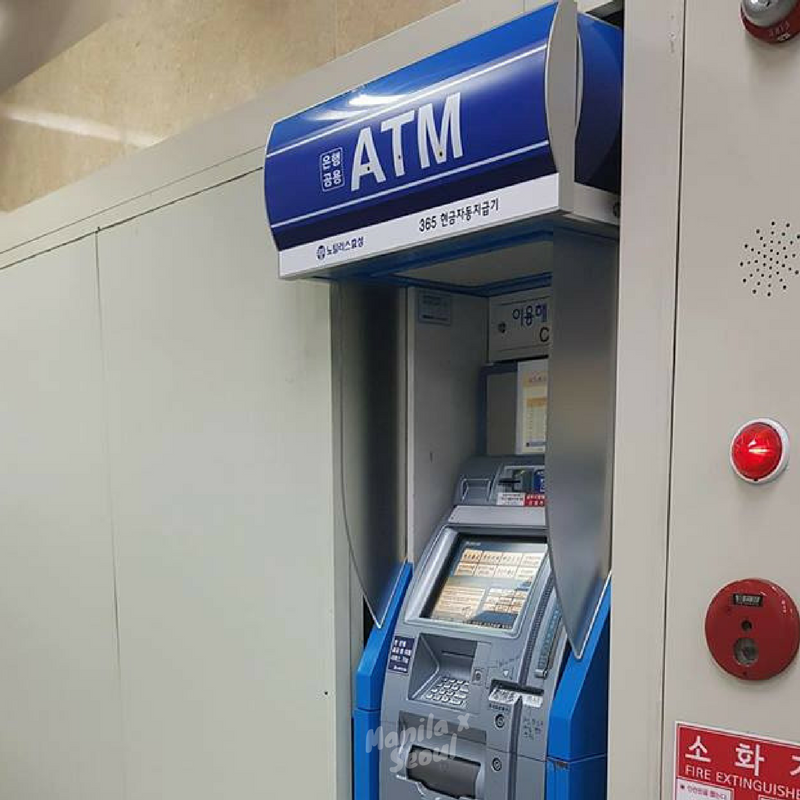 These are blue ATM machines are often found inside or outside a convenience stores, bus terminals, train stations and tourist spots. You can use any overseas-issued VISA or MASTERCARD credit and debit cards to withdraw money directly from your bank account. The only negative aspect of doing this is that you'll be charged 1,500~2,500 KRW for each transaction, depending on your bank. Pro-tip: KEB Hana Bank and Woori Bank ATMs accept transactions from BDO, BPI and Metrobank debit card holders. SHINHAN Bank allows credit card withdrawals. Please make sure that before you travel to Korea, you have your cards activated for international use. 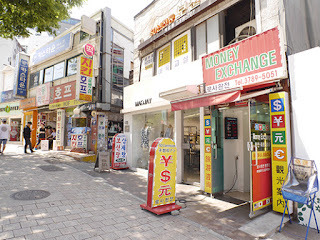 These are the best places to get your money changed into Korean won. There are cons and pros but it is always up to you whether you are exchanging your money for the rate or safety or convenience. This is just a guide for your hassle-free travel in Korea.